A fantastic dress for all sizes. 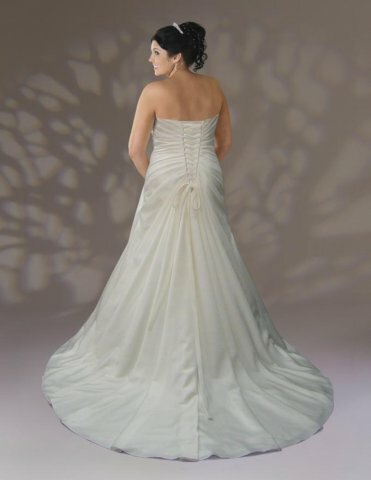 Sweetheart neckline and lots of flattering pleats. Optional straps. Very full train continuing the pleat theme as they are all held lightly into place all round the back at the bottom of the train. Laced corset back. Plain wrap available. Simple but stunning!